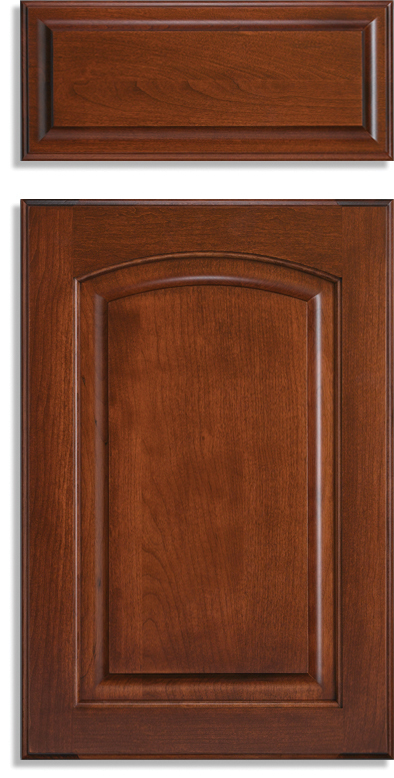 Kitchen cabinet refacing is an excellent way to transform the appearance of your kitchen. Replacing the cabinet doors and drawer fronts can completely change the style and feel of your kitchen to give it that really polished, professional look and feel. Drake Remodeling is a kitchen remodeling contractor based out of New Jersey. We specialize in the refacing of older kitchen cabinets and drawers with brand new, high quality, stylish and affordable real wood options. 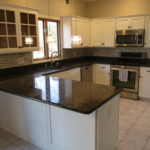 No matter the size of your kitchen or the cabinets our small team of craftsman will impress you with our knowledge, service and quality of our finished product. Important Note: We do not install plastic laminate and doors. 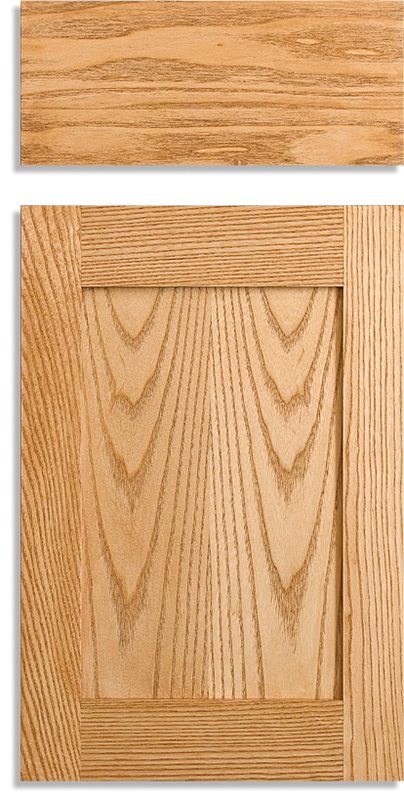 You may have heard terms such as “RTF” or “*amica” in reference to products used in cabinet refacing. While these products can be durable, they feel cheap and look like plastic. Nobody is going to see your kitchen and say, “Wow, I love the new plastic look of your kitchen.” Your home is one of your biggest investments, and you should always consider resale value before you begin a project. A plastic kitchen will not appeal to buyers if you decide to sell your home. 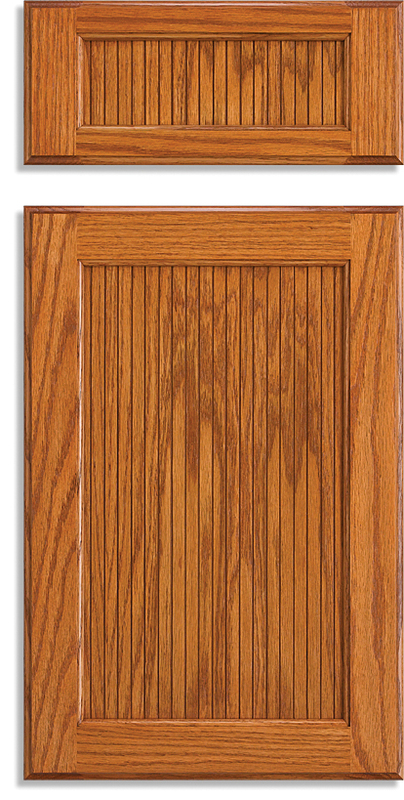 Fortunately, we provide wood doors and refacing, and usually at a lower price than the other guy’s plastic stuff. 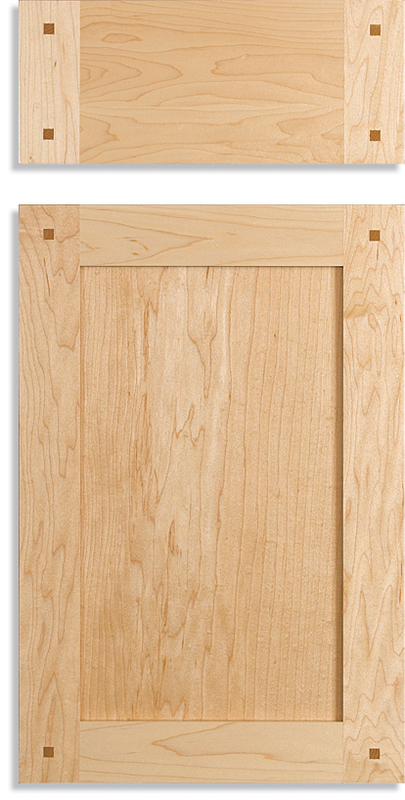 We bring a plastic door with us so that you can feel and see the difference in quality between plastic and our handcrafted wood doors. 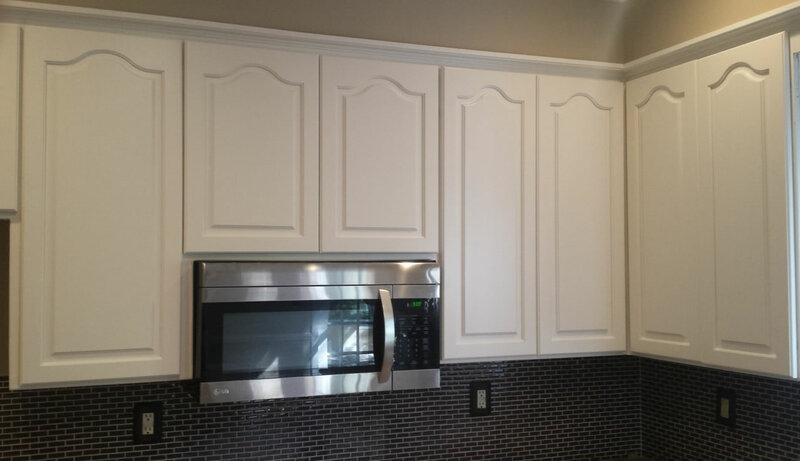 Why Reface Rather Than Replace Your Cabinets? To replace your cabinets completely you’ll be tearing out the cabinet boxes themselves, countertops, appliances and more. New cabinets often require plumbing and electrical customizations as well. When you choose to reface your kitchen cabinets and drawer fronts everything can be accomplished without tearing up your kitchen and in a much shorter time frame too. Typically, after delivery of your custom cabinet doors, drawers, drawer fronts and accessories we can have your entire installation complete in as little as 3-5 days. 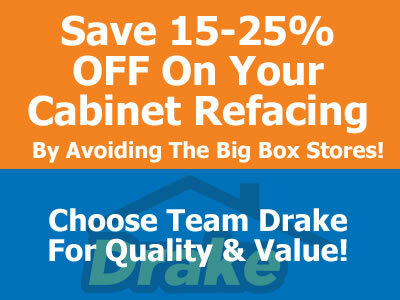 Why Choose Drake Remodeling To Reface Your Kitchen Cabinets? When you choose to hire Drake Remodeling to reface your kitchen cabinets you are partnering with a small team of local craftsman who take great pride in the quality of their service and product installations. 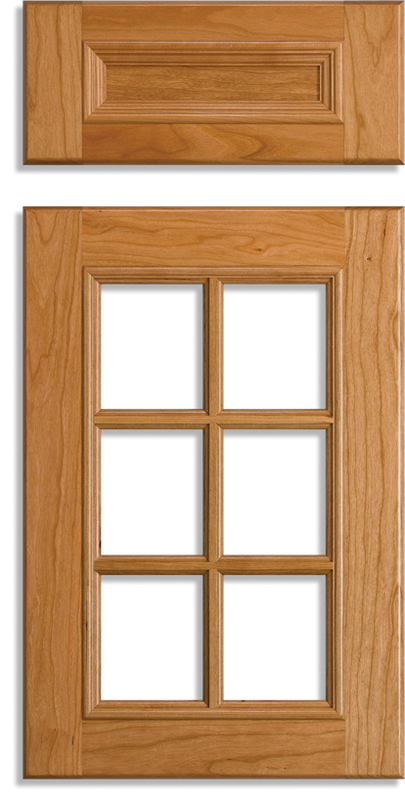 We use only the highest quality materials (real wood) and handcraft our doors instead of using pre-made plastic or laminates. 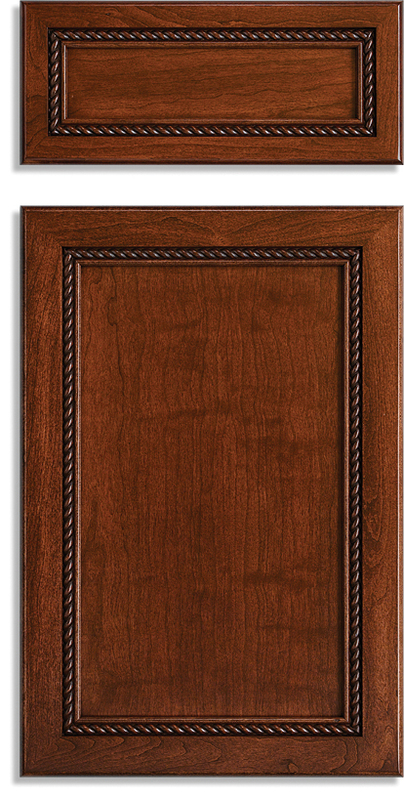 Our quality wood doors are handcrafted in the USA in the Amish country of Lancaster County PA. Because of our extremely low overhead, we are able to pass the savings onto our customers and we can usually beat big-box pricing by 15-25%, all while using quality wood instead of cheap plastic doors and refacing materials. That’s right, we are less expensive and use better materials than the guys wearing orange aprons. You will also deal with the owner instead of callcenters and subcontractors. If you’d like to receive an estimate to reface your kitchen cabinetry please give us a call or fill out our contact form for more information.